The clock is ticking down for the (original) Autodesk Virtual Agent. At the end of Jan 2018, Autodesk will be retiring the famous Autodesk Virtual Agent. This interface was useful to many Autodesk users in assisting them in electronically download their Autodesk software. Although I’m sad to see this being retired (used it for many years), it is however being replaced by the Autodesk AVA (aka: Autodesk Virtual Agent). Yes it sounds confusing doesn’t it? 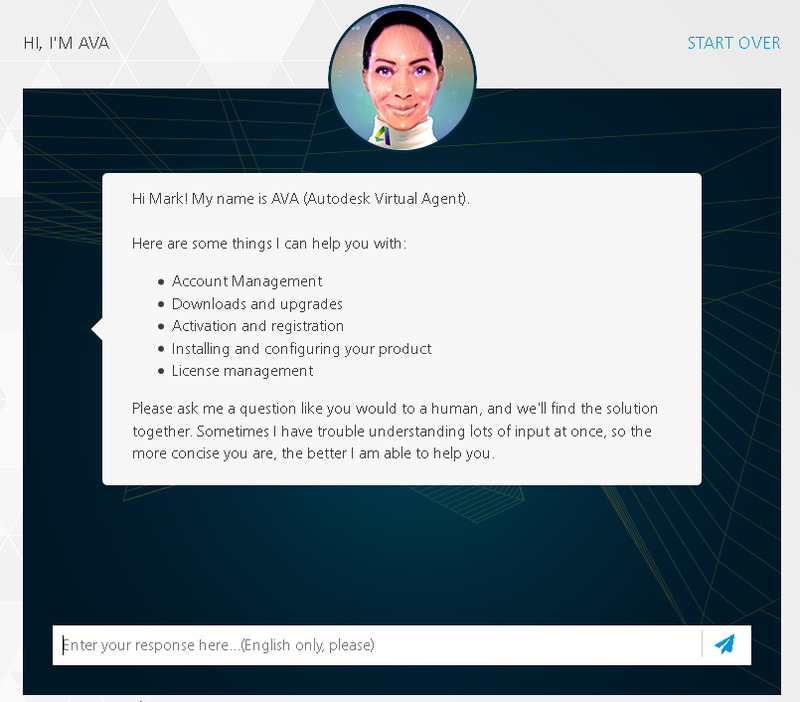 Think of it as the new and improved Autodesk Virtual Agent (and she talks to you). Autodesk AVA not only can get you to your download, she can also help you in (license) activations, account management, network license file, and few other things. If you were a user of the original Autodesk Virtual Agent, here’s a couple of articles regarding how to download your software (moving forward). Have a great 2018 and until next time.